Christopher A. Barrow’s areas of concentration are in commercial litigation, business and energy law and estate planning. 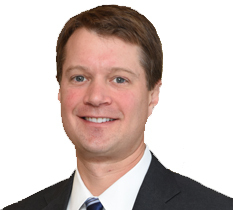 Having started his legal career as an associate with a commercial litigation boutique firm in Dallas, Texas, Chris has continued to be involved in virtually all aspects of civil litigation since joining the firm, representing individuals and businesses in state and federal court, as well as a number of significant arbitration proceedings. He has gained trial experience in a wide array of matters, ranging from large, complex construction contract disputes, including the successful arbitration of a $20+ million dispute involving a natural gas processing facility and the successful defense of the State of Oklahoma in a highway contract dispute, to employment-related litigation and intra-family disputes involving such matters as the valuation of family-owned businesses and the interpretation of trust instruments. Drawing on this extensive litigation background, which has given him a unique understanding of the needs of his business and entrepreneurial clients, Chris increasingly advises individuals and businesses on contract terms and provisions, provides guidance on dispute avoidance strategy, and assists on contract negotiations. The outgrowth has been the development of a broad transactional practice involving representation of closely held entities and individuals in connection with business entity formation and organization, acquisitions, real estate matters, and the negotiation and drafting of a variety of transactional documents involving the acquisition, development and disposition of oil and gas properties. In addition to his general litigation and business law practice, Chris is an experienced estate planning lawyer who offers guidance and sophisticated legal strategies designed to meet the personal estate planning needs and goals of each client. For clients who are business owners, this often involves consideration of succession planning issues and the alignment of his clients’ estate plans with their current and future business goals. His extensive experience and achievements earned him the “Rising Star” designation by Super Lawyers Magazine continuously from 2008 to 2014. Chris received his Juris Doctorate from Emory University School of Law in 2001 where he held leadership positions in the Emory Moot Court Society and was a member of multiple moot court and trial teams. He is a member of the Order of the Advocates and also received the Commendation Award for excellent achievement in the study of wills, trusts and estates. While in law school, Chris served as a summer law clerk for the late Honorable Judge James Ellison, United States District Judge for the Northern District of Oklahoma. He received his Bachelor of Science degree in Business from Indiana University-Bloomington in 1998. Chris’ professional memberships include the Oklahoma Bar Association and the State Bar of Texas. He is admitted to practice before the United States District Courts for the Northern, Eastern and Western Districts of Oklahoma, the Northern, Eastern, Southern and Western Districts of Texas, and the Tenth Circuit Court of Appeals. Representing the subcontractor who performed the electrical and mechanical work on a natural gas processing facility in an arbitration with the general contractor. Following several weeks of testimony, a panel of three arbitrators entered an awarded in favor of Chris’ client in an amount in excess of $11,000,000, which included $2,900,000 in attorneys’ fees and pre-judgment interest. Representing medical professionals in connection with the purchase and sale of medical practices, including asset purchase and stock transactions. Advising operators, non-operators, midstream companies, investors and other businesses in connection with the primary activities of oil, gas, and other natural resource production, including drafting, reviewing and negotiating exploration, participation, sales, service, transportation and other agreements, and providing guidance on leasing and assignments. Representing buyers and sellers in various industries, including energy, real estate, financial services, and marketing, in connection with negotiated acquisitions and dispositions. Obtaining dismissal on behalf of insurance company client following bench trial in action involving insurance coverage dispute. Counseling clients with respect to formation of partnerships, limited partnerships, joint ventures, limited liability companies and other entities. Member of trial team that successfully defended real estate company in a putative class action lawsuit, resulting in the denial of plaintiffs’ request for class certification. Assisting in the successful defense of national franchisor in arbitration actions involving franchise and distribution disputes and claims. Serving as co-counsel in the successful defense of successor trustee in multi-week bench trial involving business valuation disputes. Chris has been a member of various committees of the Tulsa County Bar Association, including the Bench & Bar Committee and the Law School Mentoring Committee, and is a member of Energy and Natural Resources Law Section. While not practicing law, Chris enjoys participating in outdoor activities with his wife, Leigh, and their three children, as well as playing tennis at the Tulsa Tennis Club, where he currently serves on the Board of Directors.